Leveraging a real estate company across a divergent consumer base has always been the usp of sjain ventures ! Leveraging a real estate company across a divergent consumer base has always been the usp of sjain ventures. ! 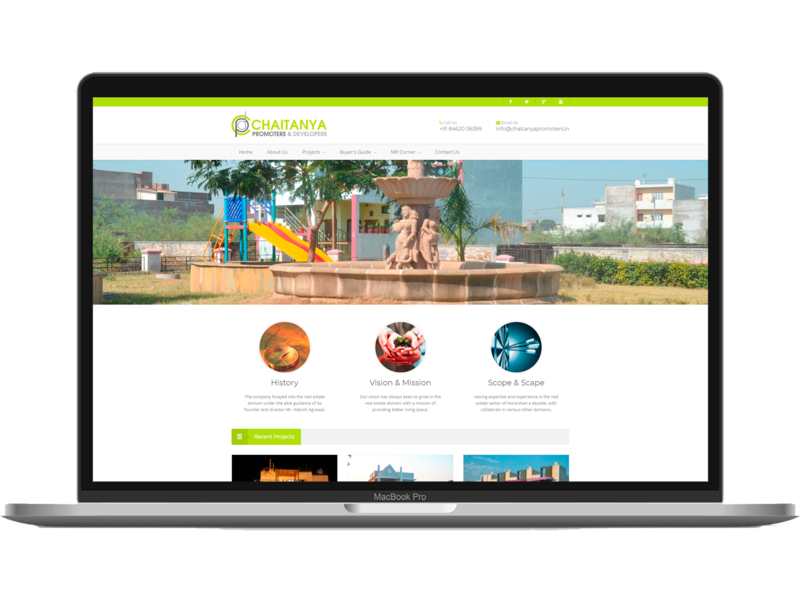 Chaitanya promoters is a leading real estate and infrastructure development company in MP and CG with brand collaterals that prospects die for - owing to the well-developed prime properties in lush landscaped locations. The company wanted to garner consumers across diverse economic background and provide them with amenities that are world class yet reasonable with a touch of ethnicity. It was a challenge proliferating the business with new metrics and unconventional strategies applied.